Do you know any young people from refugee or asylum seeking background, aged 12-30, living in western Sydney? 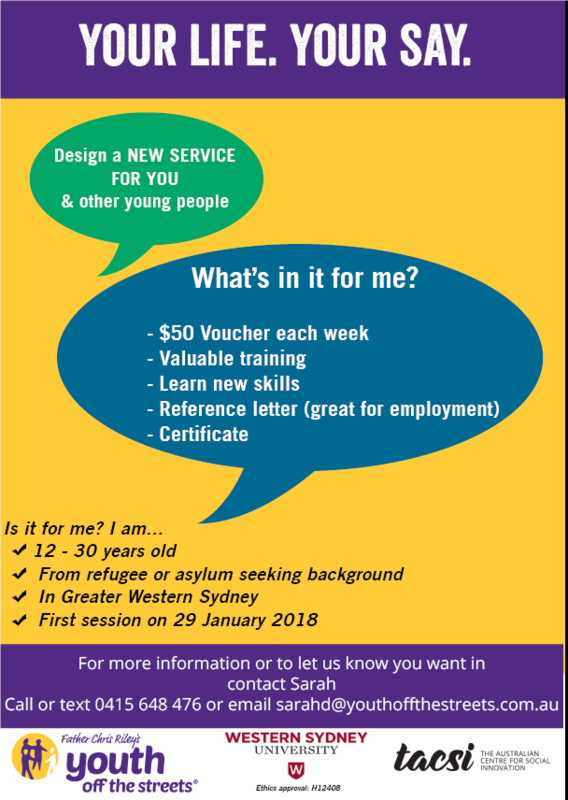 There is a great opportunity with Youth Off The Street, a community organisation, who is looking for young people to join them to co-design a new service for youth in partnership with Western Sydney University and the Australian Centre for Social Innovation (TACSI). It is a chance to make a difference to their communities.